Cultural Flotsam (2016) and Monocultural Stutter (2015) will be playing at the 5th International Video Poetry Festival in Athens (Winter 2016) as well as Illumination (2016) – a collaboration with Daniel H. Dugas. 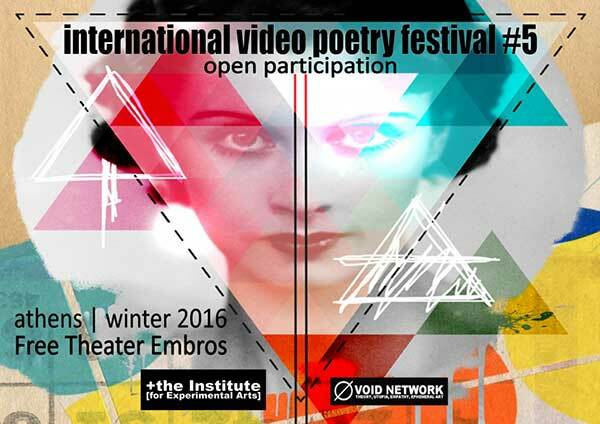 The yearly International Video Poetry Festival 2016 will be held for the fifth time in Athens, Greece. Approximately 2500 people attended the festival last year. The International Video Poetry Festival 2016 attempts to create an open public space for the creative expression of all tendencies and streams of contemporary visual poetry.